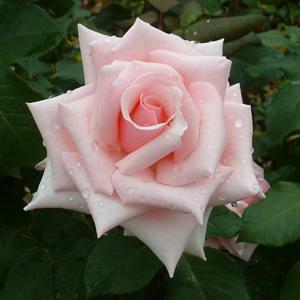 Hybrid tea bush rose with large, well formed, sumptuous pale pink blooms. Vigorous bushy habit with good dark green foliage. Raised by Harkness, 1989, named for the centenary of the Savoy Hotel in London.